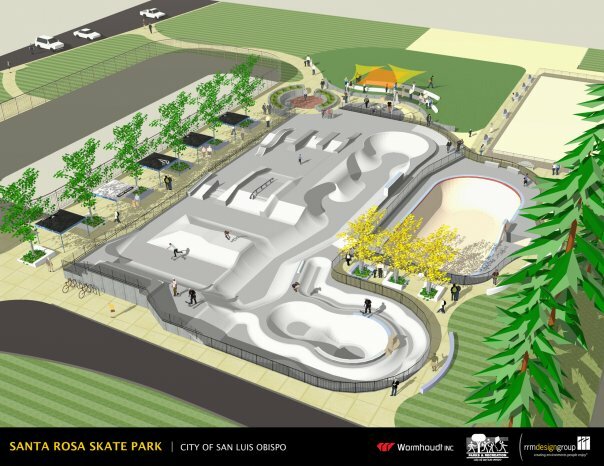 The future San Luis Obispo Skatepark received a grant from the Tony Hawk Foundation and it is inevitable this project comes to fruition. Right now T-shirts are being sold as well as bricks to people and businesses to help fund the park. You can put up to 14 characters on the bricks and they are permanent! You can also see this on Facebook. Click on the San Luis Obispo link to help the skaters out there. You can also visit San Luis Obispo skatepark on Facebook.